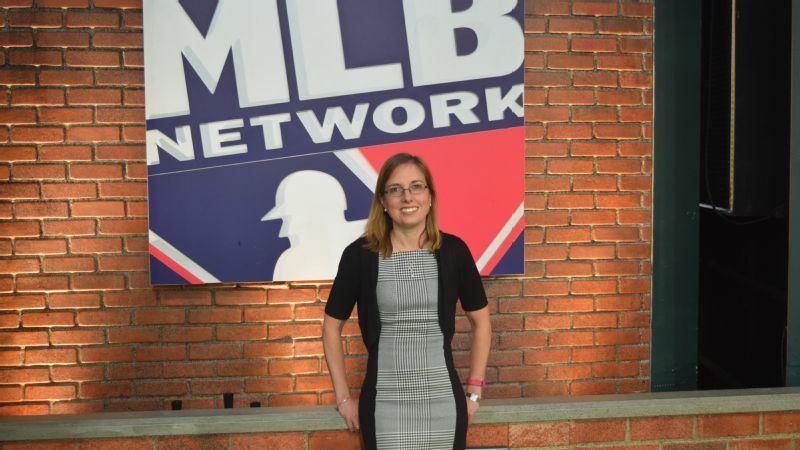 While Susan Lulgjuraj turned her passion for cards into a career with Topps, she has also showed off her creativity by turning her wedding and birth of her first child into trading cards. 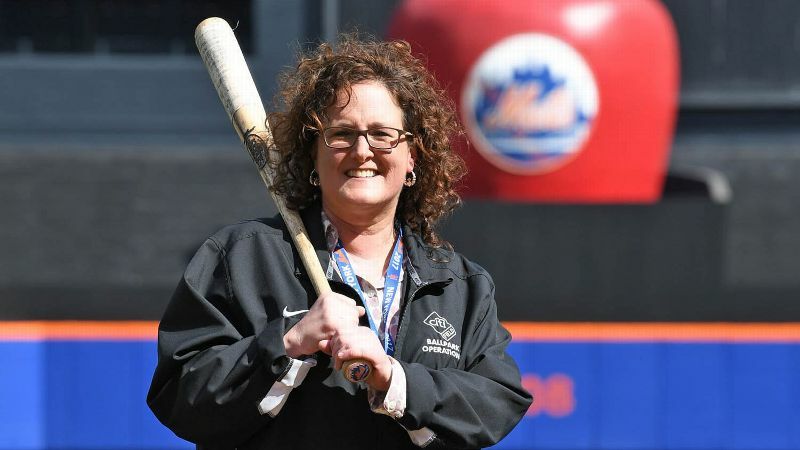 Growing up in Yonkers, New York, Susan Lulgjuraj watched her older brother and cousin trade baseball cards and wanted in. When she was 11 years old, her mother would send her to the store to buy milk. With the change, she'd buy a pack of cards. She was hooked. 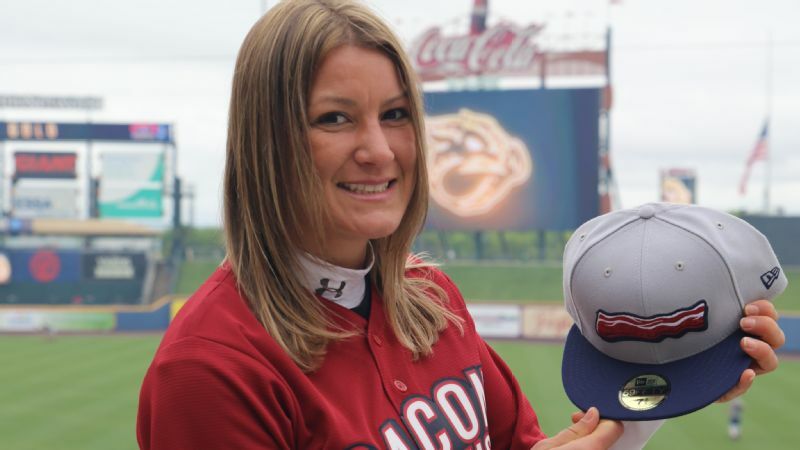 By the time she was 17, she had her first job -- at a sporting goods store -- and bought cards through eBay, writing five or six checks a week (this was before PayPal) and waiting for the packages to arrive. "Are you serious?" her mom asked. "This is what you do with your money?" It was a good investment. Not many people can turn a hobby, especially card collecting, into a career, but Lulgjuraj has done just that. 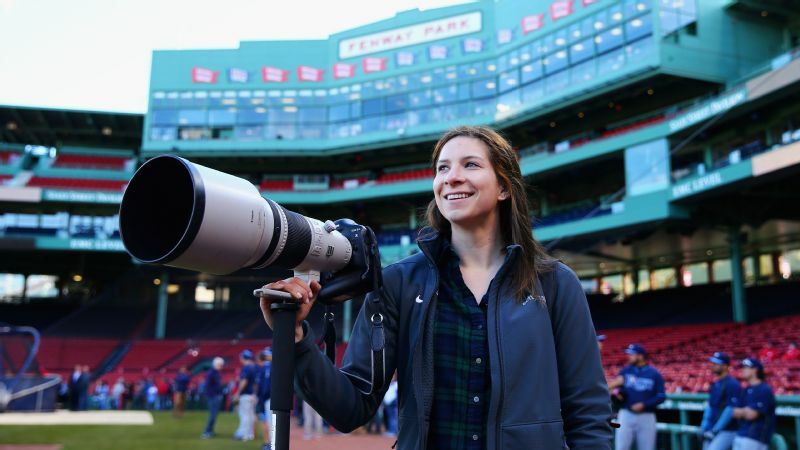 Her baseball card blog led to a job as a magazine editor with Beckett Media, a company known for its pricing guides. 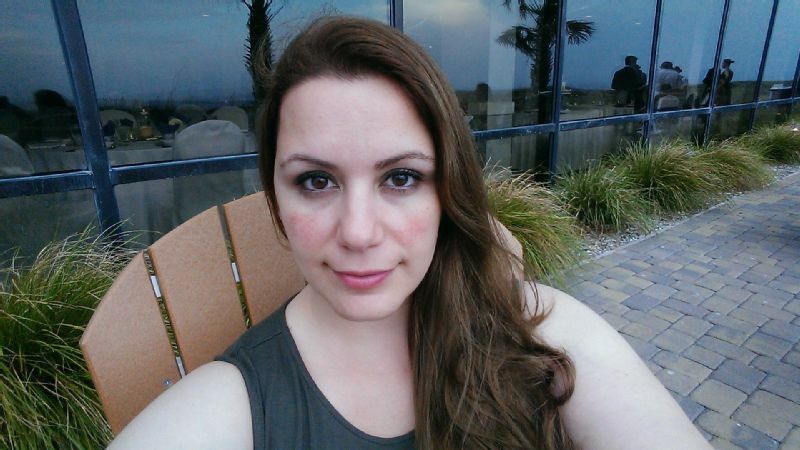 She recently celebrated two years as a marketing communications manager at Topps, where she runs the company's social media accounts, handles public and media relations, and selects the player photos that will go on certain cards. Since 2009, Topps has been the only card company with licenses from both Major League Baseball and the MLB Players Association, meaning no other company can produce cards with team logos. Topps also has soccer and UFC cards as well as entertainment sets for movies and TV shows such as "Star Wars" and "The Walking Dead." Wednesday marks the release of the second set of its flagship product, the Topps Series 2. 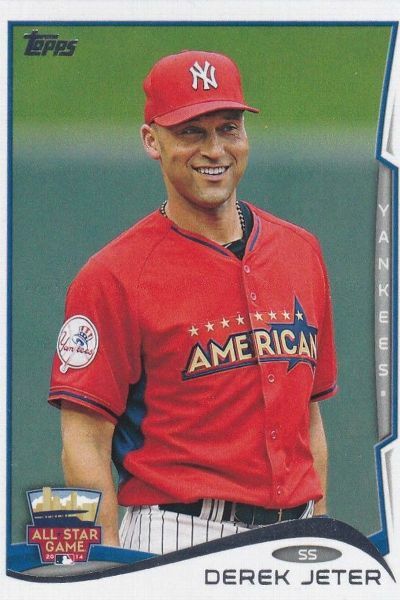 Susan Lulgjuraj has over 2,000 unique Derek Jeter baseball cards, but one that stands out to her is the 2014 Topps Update. 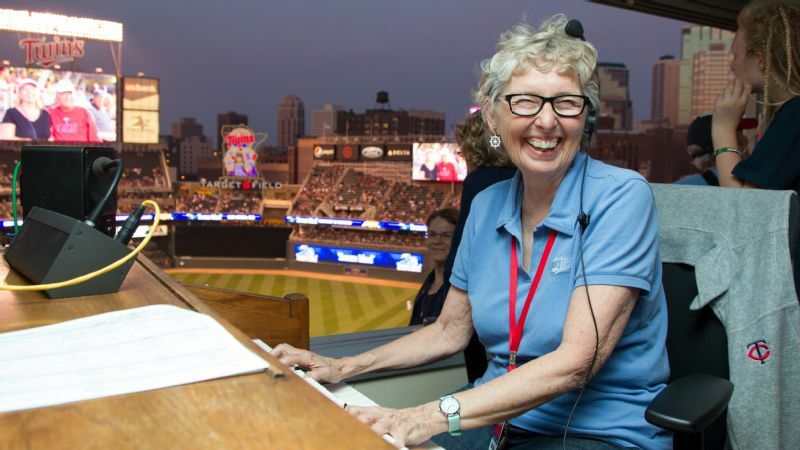 She picked the image (from Jeter's final All-Star Game) and shows the card off at her desk. There are hundreds of hobby shops around the country. You can buy cards in any Target or Walmart, and you can't drive down the street without seeing one of those stores. There are some big online retailers: Blowout Cards and Dave & Adam's Card World are two of the biggest. The National Sports Collectors Convention is held every summer and tens of thousands of people attend. There's still a rabid, passionate group of collectors. If it wasn't popular, we wouldn't be here anymore. And last season we introduced Topps Now, an on-demand trading card program. Every day there are big moments in baseball, and you can get cards of those moments the next day. They are available for only 24 hours. 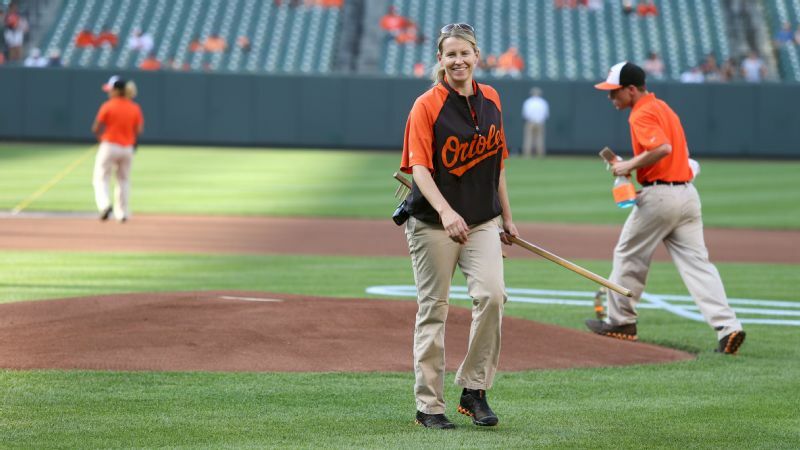 Many people have told us it has renewed their interest in baseball. There's also the Topps BUNT app, in which fans can collect and trade digital cards and play fantasy-style games with their players. The card that let everyone know we arrived was the Bartolo Colon home run card. We sold more than 8,800 of those. The card showed his home run swing. The images for all the Topps Now cards are as close to the moment as we can get. Some are signed. You can buy the cards online [most are $9.99] and a week or two later it's in your mailbox. The highest seller of all time is Ichiro's 3,000th hit card, which sold 11,550 copies. We've sold half a million in total and will hit 1 million this summer. I probably have close to 100,000 cards in my collection. It sounds like a lot, but I actually downsized a few years back. ... I have over 2,000 unique Derek Jeter cards. When I was an editor at Topps (from June 2014 to May 2015), I was in charge of picking the photos for cards and edited the text that went on the back. I've been able to pick a lot of the images for my favorite player, Derek Jeter. The first one was for a 2014 All-Star Game card. I display it at my desk. Even though I have other responsibilities now, I still choose the photos for the Stadium Club series. As someone who was in the journalism field, I kind of have an eye already for what makes a good picture. I scan the available images and choose a handful that appeal to me. Sometimes you think you have one that would make a really good image, but then you crop it for a card and realize it won't work. It's a matter of finding a good image that fits within the design of the card. For the Stadium Club series, I'm not looking for a typical photo. I want an image that makes me feel something: off-field stuff, guys doing things in the dugout, maybe a diving catch. I handle our PR outreach, so generally you'll talk to me unless there is a specific licensing question. I also run our social media accounts: Twitter, Facebook, Instagram. We can get instant feedback. Whether something is great or didn't work, we know it. We do "Box Break" videos on Facebook Live once a week in which I open new sets and narrate. Early last year, a dad sent us video of his 4-year-old son opening MLB stickers. The kid opens a Kris Bryant sticker, his favorite player, and starts crying. He couldn't be happier. I saw it and said to myself, "This is going to go viral." I tweeted it, I sent it around, I got it out there as much as possible. Sure enough, it ended up on ESPN, MLB.com, all these different places. I was pregnant at the time and sent the video to people at the office and wrote, "I only hope my son will love cards as much as this kid." People come to us all the time and say, "I want to start collecting again. Where do I start?" It can be overwhelming. First, find a focus. What do you love the most about baseball? You'll never collect every single card. I grew up in New York. I love the Yankees -- my focus is on Yankees cards. When you find a focus, that's what makes it fun. You can tailor a collection to anything you want it to be. Whether it's your favorite team or player, or players who share your birthday or your hometown. Maybe players who went to your college. With soccer or UFC cards, I collect from other Albanian athletes because my family heritage is from there. People also like to buy sets from the year their kid was born. Editor's note: Lulgjuraj also had a card made to announce the birth of her son last summer; she did the same thing when she got married. I probably have close to 100,000 cards in my collection. It sounds like a lot, but I actually downsized a few years back. I store most of my collection in binders, with the higher-valued cards in plastic cases. My favorite card combines my favorite player and a personal connection. It is a Derek Jeter card released by Fleer in 2002. I have over 2,000 unique Derek Jeter cards, but this one is signed and says, "This Day in History." The date, July 11, is my birthday, the same date in 2001 that Jeter was the first Yankee to be named MVP of the All Star Game. It's a quirky card, and I love it.